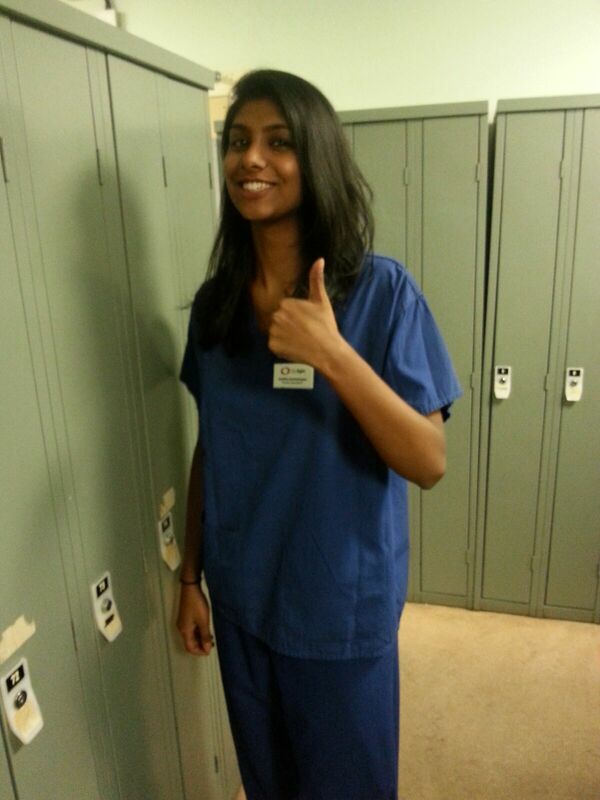 3rd year Optometry student, Abiththa, describes her experience at Moorfields Eye Hospital. My name is Abiththa and I am a 3rd year Optometry student at City, University of London. It is undoubtedly every Optometry student’s dream to get some kind of work experience in Moorfields Eye Hospital. I am no exception! Studying at City, we are at great proximity to Moorfields and have the exciting opportunity to observe clinics and surgeries. I’ll share my experience so far. Third year finally came around and every student was timetabled 4 visits to Moorfields, spread across the duration of the year. Before the first visit, I was very nervous about observing clinics. I was worried about the questions the clinicians would ask me and all the things they would expect me to know. I signed up to observe a surgery and had the added advantage of being paired up with a friend. After changing into scrubs we made our way to the Glaucoma surgery theatre. We were asked many questions, some of which I knew the answers to and I guessed a few of the answers but the Surgeons corrected any mistakes and gave explanations. It provoked us to think and use the knowledge we had gained from the lectures at uni. I asked questions on the procedure which they were happy to answer. I completely took myself by surprise when I didn't feel squeamish watching the procedure. I found the session very interactive and helpful. Also, not forgetting how glorious I felt in the few hours I was able to wear scrubs!! A few weeks passed and it was time for the second visit. I had to face my fears and observe a clinic, this time on my own and to make matters worse it was the binocular vision clinic - my weakest module. To my relief, the Doctor was very helpful. I was able to observe the application of the skills we were taught and also given the opportunity to assess patients’ eyes myself using a slit lamp. Even though I found the module hard, I realised how much I knew and I was able to answer questions with ease. This session really improved my confidence with the module. The clinic ended with a lovely patient who gave both me and Doctor sweets before she left. This experience has given me an insight into hospital Optometry and Ophthalmology and has encouraged me to consider working in a hospital in the near future. All in all, Moorfields had excelled my expectations and I look forward to attending my next clinic and surgery and I hope you will look forward to attending yours when you join the Optometry family at City!